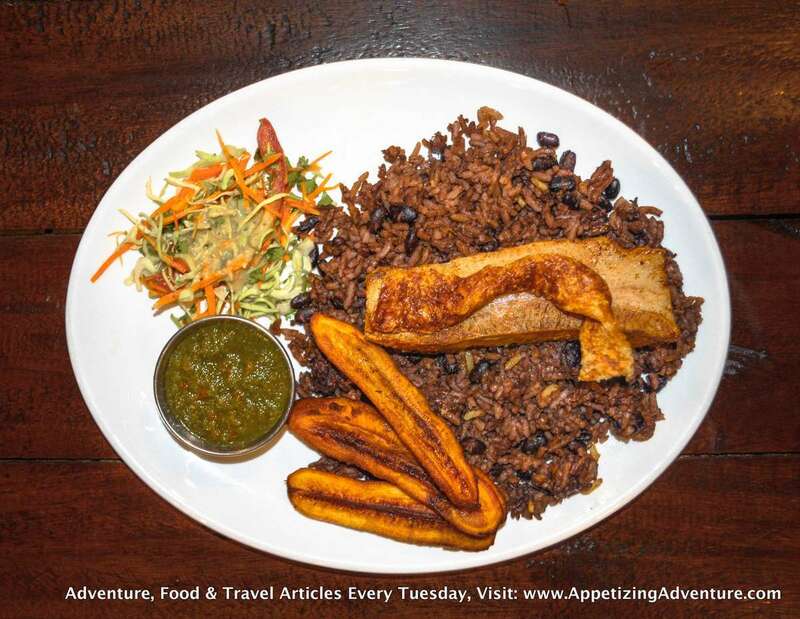 Are you curious about Latin American Street Food? It’s delicious!!! Here’s good news – you won’t have to travel far to taste their culture. 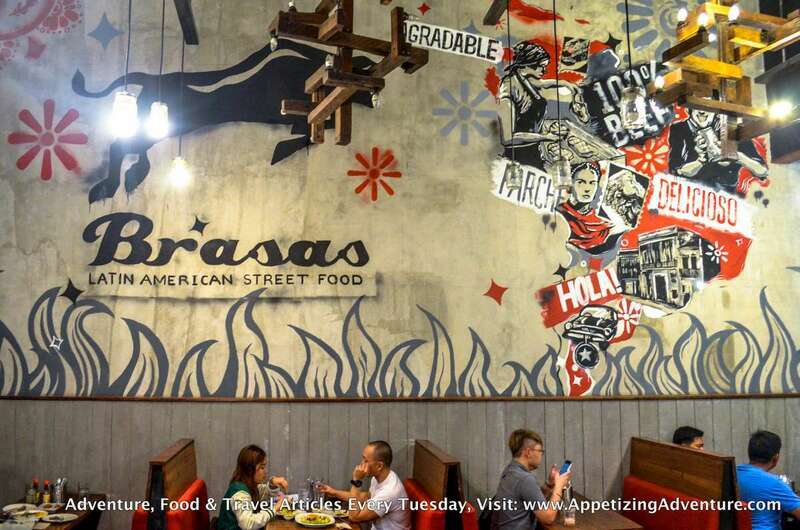 Brasas, which means red hot coal, is the perfect place for that Latin American taste. 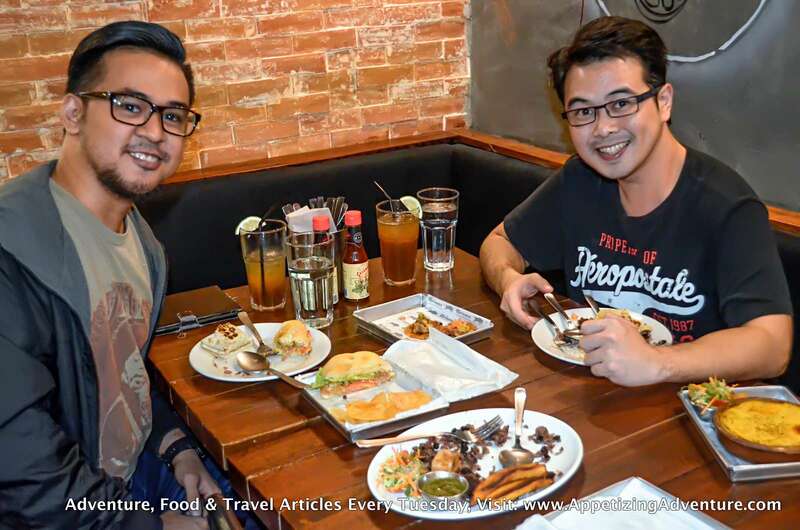 The restaurant offers great food with a mix of the familiar and something new for the palate. Most of the dishes they serve are chargrilled. Expect that yummy smoky taste. 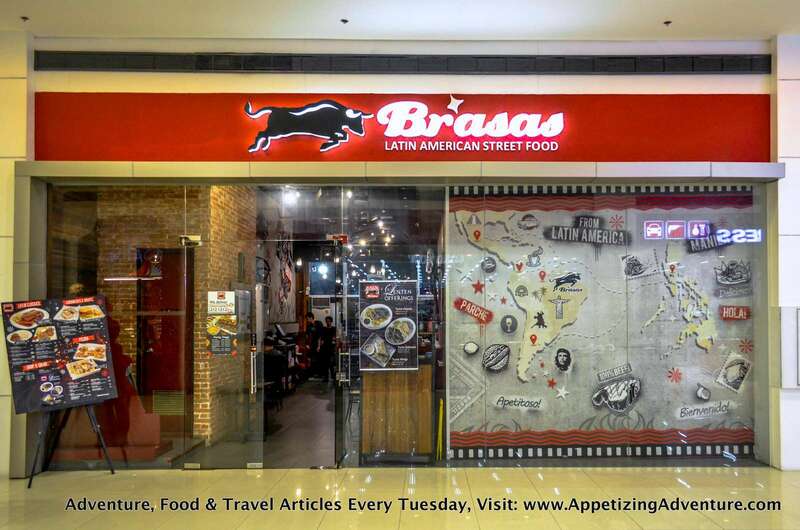 Here’s what Brasas has to say: Let us take you on an adventure of Latin America the best way we know-through a colorful array of chargrilled feast prepared with fiery passion and soulful precision. 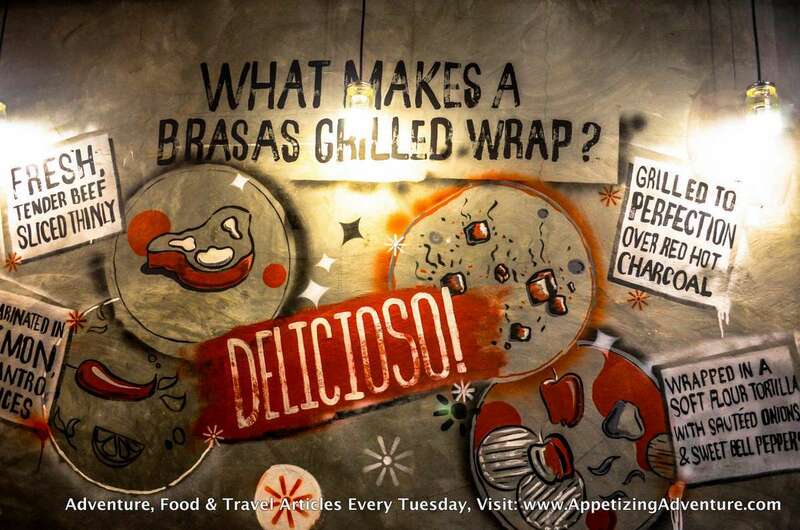 We are Brasas, and we invite you to partake of our story – one bite at a time. 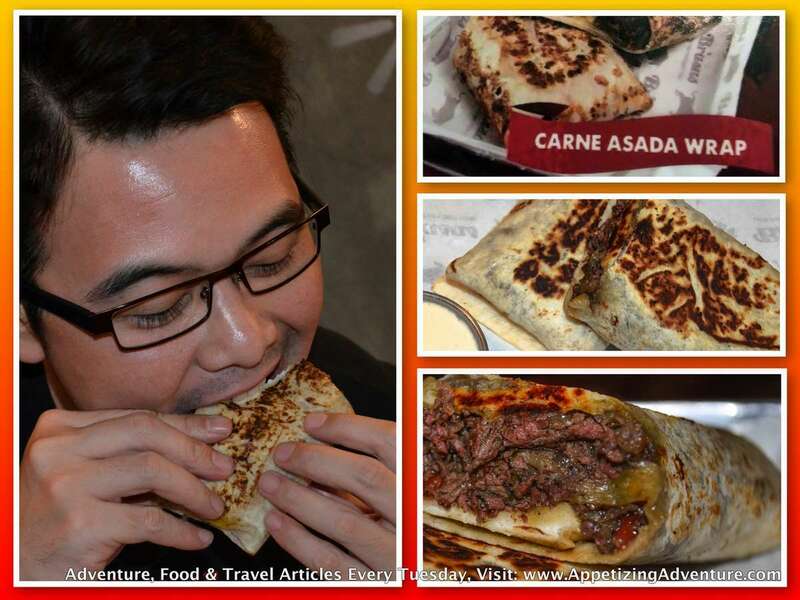 My ultimate favorite is their Carne Asada Wrap. At first glance, it might seem like a usual Mexican treat. It’s not. It has mouth-watering charcoal-grilled beef sirloin that’s just so tasty. After my first bite, I had to let the goodness linger in my mouth, close my eyes, and feel my heart rejoicing in gastronomic pleasure. 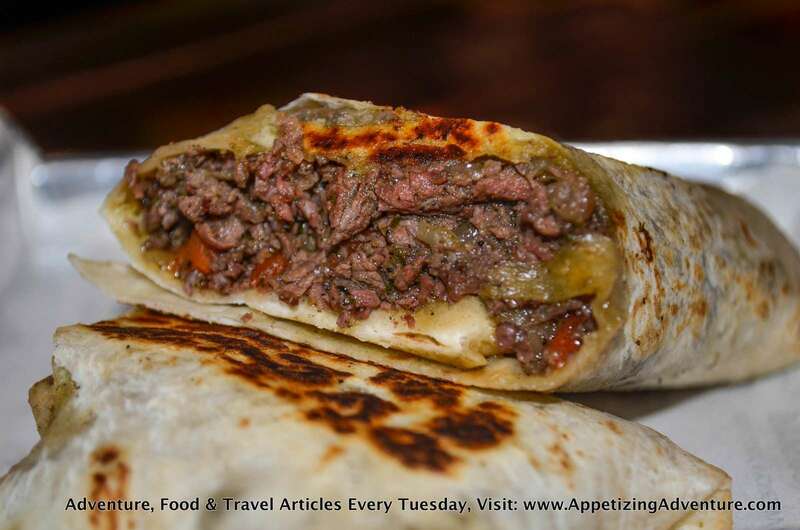 The Carne Asada Wrap also has sauteed onions, and roasted bell peppers, wrapped in soft flour tortilla. I enjoyed it so much that I wouldn’t settle having this just as a snack for the in-between-meals, but it might as well be my appetizer before the main meal. 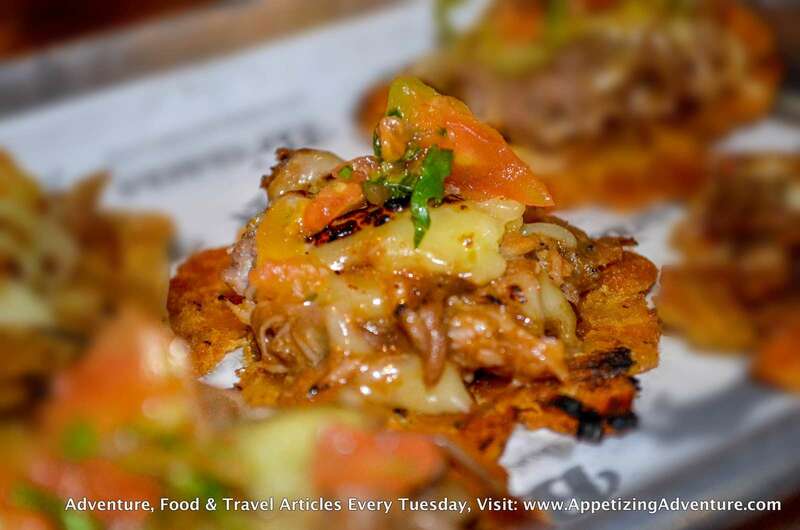 But for real appetizers, they have Patacones – plantain chips with cheese, veggies, pico de gallo, and your choice of meat. I recommend you choose the smoked pulled pork for the meat. It’s good and interesting. It was my first time to eat this kind of appetizer on plantain chips instead of crunchy tortillas. The plantain chips are actually “saging na saba” made crunchy. The chips had a very subtle banana taste. So this is how Latin American Patacones is like. The banana plays a role here and in many of their dishes. For the main event, the chef recommends Puerco Asado. That’s slow roasted pork belly finished at the charcoal grill, and served with rice and beans, crunchy pork skin, South American slaw, and tajadas (fried plantain bananas). Most would probably rave about the pork belly and crunchy skin. But this time, I thought the rice and beans made the headlines. The mix was so good I could eat it as is without the meat. If you want to go light for the main meal, you can try their sandwiches. My favorite is the Smoked Pulled Pork. 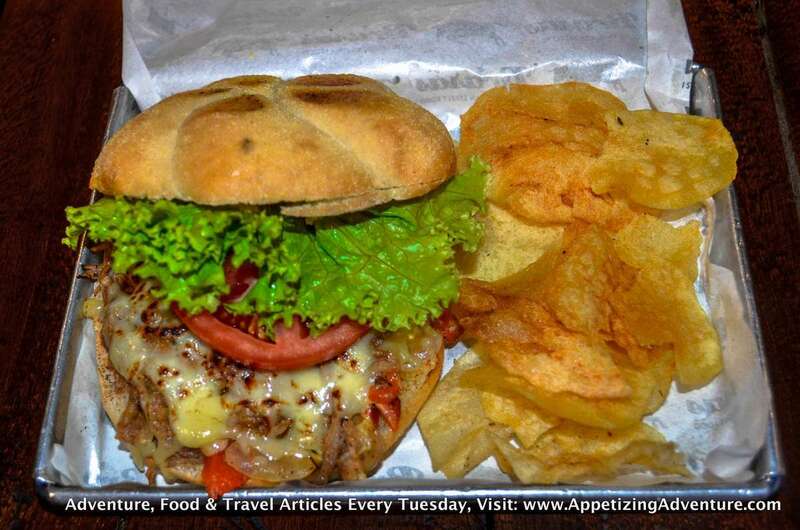 That’s smoked pork shoulder, sauteed onions, roasted bell peppers, and Monterey Jack cheese, served in toasted Kaiser bun. It tastes like the Smoked Pulled Pork Patacones but it’s heavier and tastier. 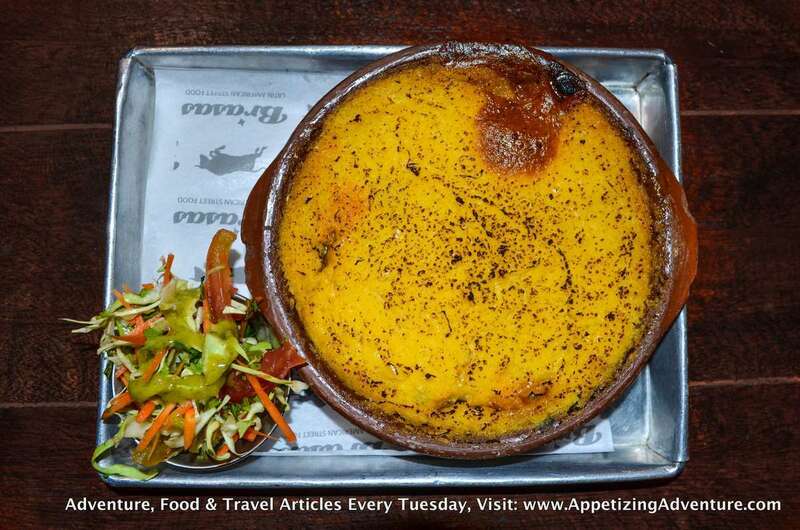 Another interesting dish here is the Pastel De Choclo, which is made of braised beef brisket, braised chicken, tomatoes, carrots, green peas, corn mash crust, and comes with South American slaw. It tastes familiar, even slightly Filipino, except for the crust that’s interesting because it’s made of corn mash. Now for dessert. Try their Torta Tres Leches. 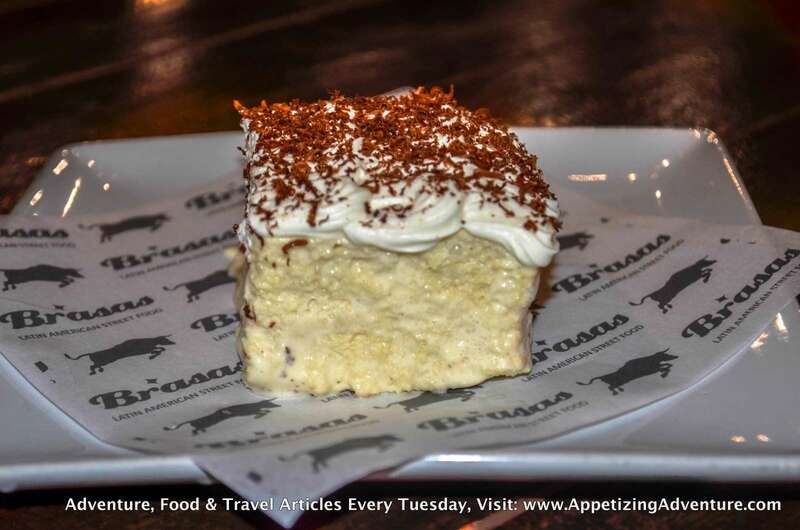 It’s light vanilla sponge cake soaked in three kinds of milk, topped with whipped cream, and shaved chocolate. 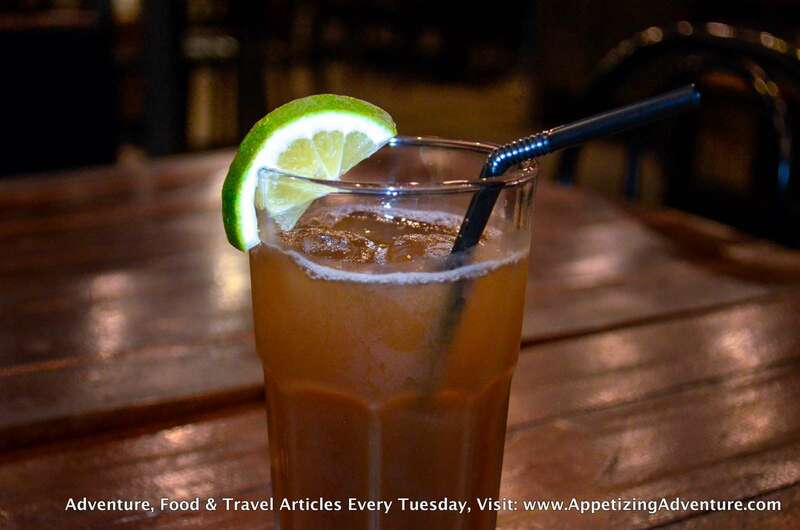 Down all that with Brasas’ Latin Iced Tea. It’s passion fruit infused iced tea with lime and honey. 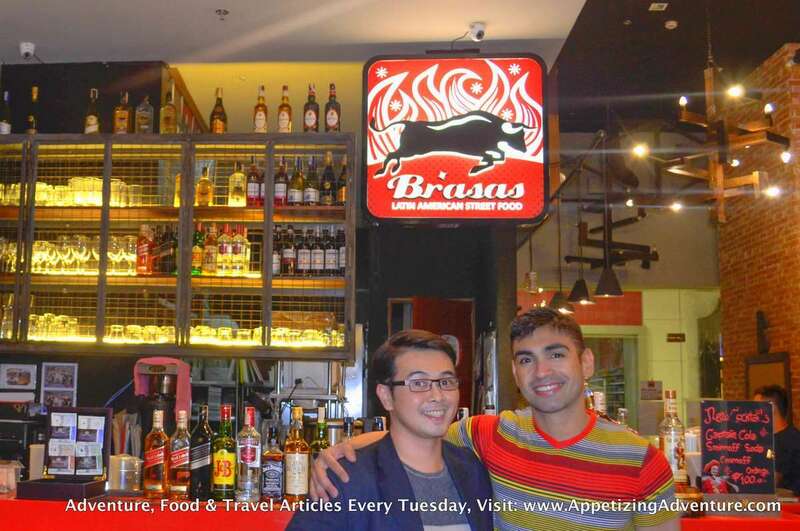 The overall experience at Brasas Latin American Restaurant at SM Jazz was fantastic. 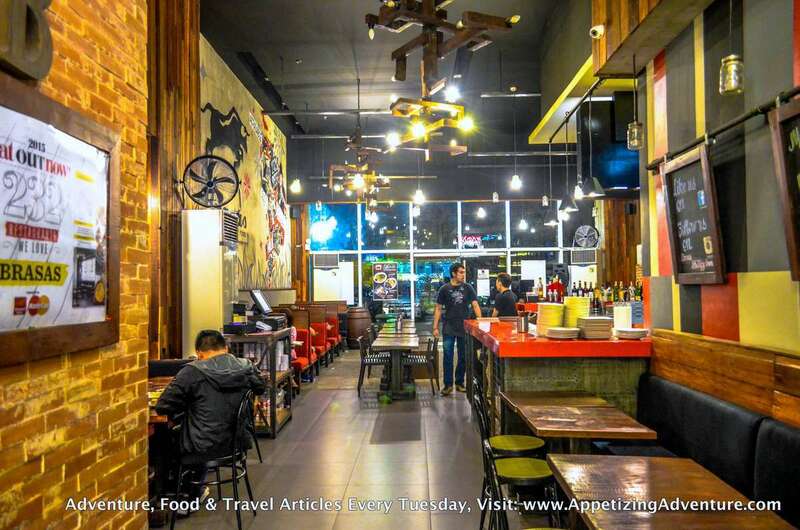 The ambiance gave me a glimpse of Latin American culture. The colors and art on the walls, the music, and the dancing during salsa nights. 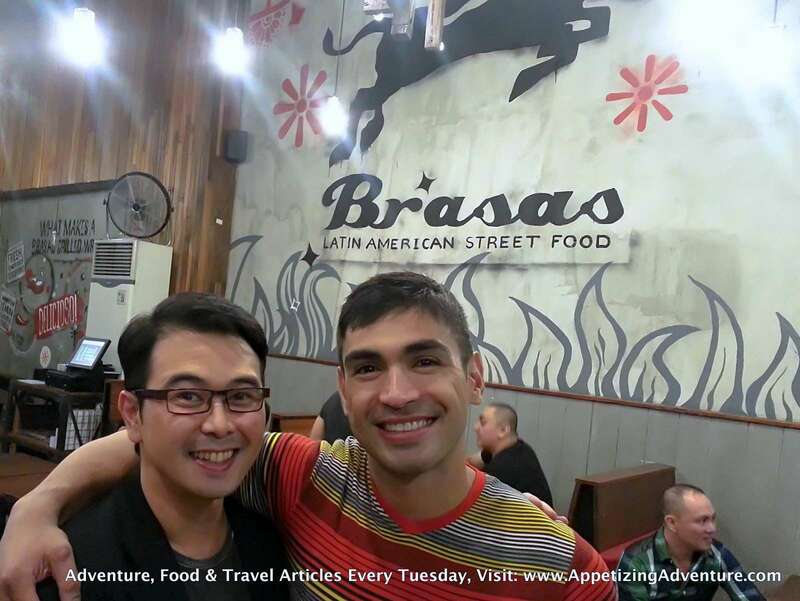 One of the owners of Brasas is the celebrity Carlos Agassi. We call him Amir. 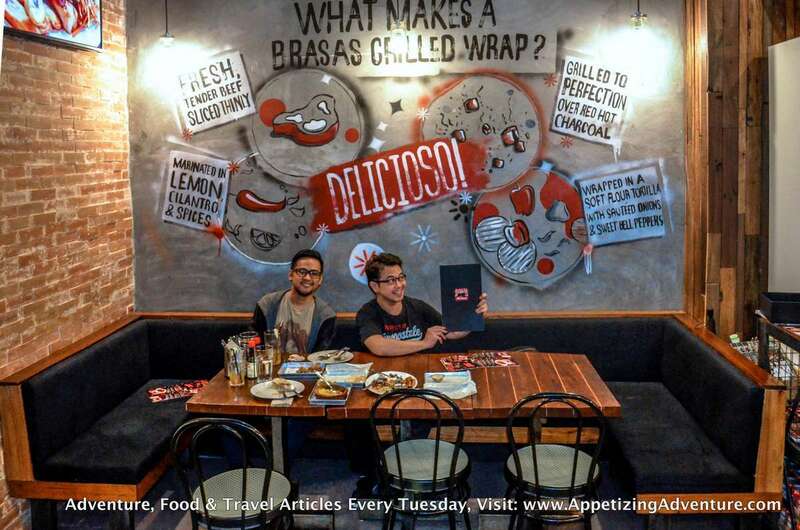 He said he’s very confident about their food and is very proud of what they offer. Don’t be surprised if you see him in Brasas SM Jazz branch, sometimes even serving! Fridays are Salsa Nights. Amir said they bring in dance instructors for the guests and they clear an area in the restaurant for everyone to dance the night away.